Thank you for supporting: MIND OVER MATTER 2009! Paul's Bike Depot mechanics on hand for the event. 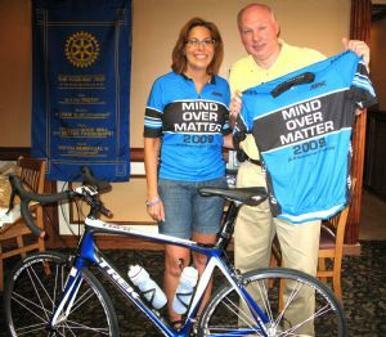 Raised $ 22,000.00 for the Alzheimer's Association with Mind Over Matter 2009. Kevin Degen attended Mind Over Matter 2009. Mind Over Matter originally started (2005) as a Tribute to my Dad: Karl T. David. Kristine Korpal gets the Cyclers lined up! 340 Cyclers, and a beautiful day!